Please note our club is closed from 9 December 2013 until 6 January 2014. Our first meeting is on Monday 13 January 2014. We look forward to seeing all our members and lots of new faces in 2014. Details of our plans for 2014 will be announced as soon as they are known. 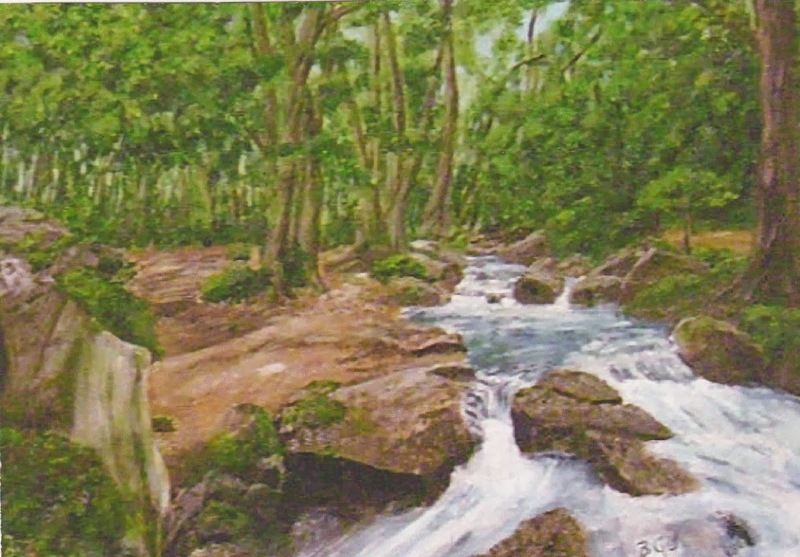 Meanwhile here is "Golith Falls, Cornwall", acrylic by B. Gill, a club member.